MANILA, Philippines - After exposing Sen. Leila de Lima’s alleged illicit affair, President Rodrigo Duterte said on Thursday, August 18, that he will not a file case against de Lima’s driver and lover, whom he also accused of being involved in illegal drug trade, as he wants to turn him to a witness. "Baka maging witness ito against... Bakit ko ito kakasuhan? Marami akong gagamitin. Gagamitin ko ang preso, gagamiting ko ang lover niya, na driver niya,” Duterte told reporters at Camp Siongco in Cotabato City. On Wednesday, August 17, Duterte accused the female senator of having a relationship with her married driver identified by several reports as Ronnie Palisoc Dayan. De Lima, who has been critical of his all-out war against illegal drugs, allegedly built a house for her lover in Barangay Galarin in Urbiztondo, Pangasinan. "Here is an immoral woman, flaunting well of course in so far as wife of the driver was concerned, it’s adultery. Here is a woman who funded the house of her lover and yet we do not see any complaint about it,” Duterte said during a speech delivered in Camp Crame. Duterte also alleged De Lima’s driver of collecting drug money from the National Bilibid Prisons (NBP) in Muntinlupa which was used to fund her senatorial campaign. 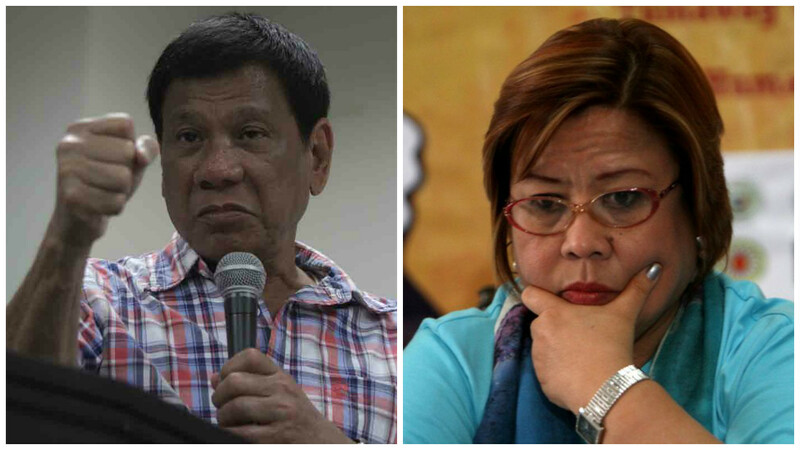 Following Duterte’s expose, De Lima told reporters that she would not be intimidated by the 71-year-old president whom she accused of “abusing and misusing” executive power. Calling on Duterte to “stop portraying her as the enemy”, De Lima said she only wants a fair fight and be given the chance to defend herself. "This is no less than abuse and misuse of executive power. I don't think the Constitution has ever contemplated such abuse of power on such scale, as it assumes every President to conduct himself in a manner befitting the office he holds. It seems that this is not the case for this President,” de Lima said. The lady Senator initiated a Senate probe on extrajudicial killings linked to anti-illegal drug operations which earned the ire of Duterte.